In how to market a product from a brand, you will need the right promotional strategy step on the mark. With the right business promotion strategy, you will enjoy success in terms of brand awareness. Not only that, you will also get the chance to reach your sales target effectively. 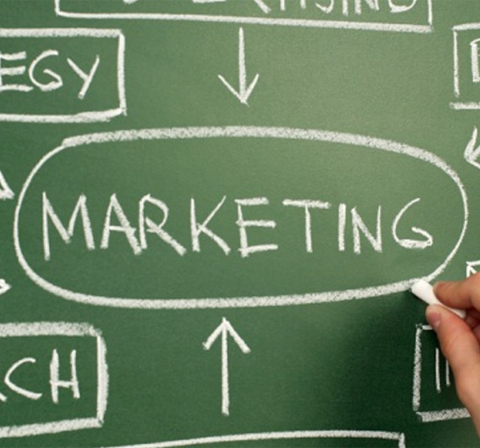 To achieve it all, consider 10 tips on how to market the following products! In this mobile era, social media has become a must for your brand. Through social media like Facebook and Twitter, you can do a promotional strategy by introducing your brand and also the products you want to market to social media users. With the right method of social media usage, your approach becomes more personal and also becomes 'closer' to the target market. Without a good approach to your target market, all kinds of ways to market the product will be difficult to run. Especially in today's digital era, where the competition between companies is getting tighter, good relationships with customers will be a plus for any kind of business. Although the way to market products through social media is very effective, do not you forget the marketing tactic offline. Being one of the contest organizers or sponsoring one of the contests being planned is an idea of ​how to market a good product. By displaying your logo on the contest or race, then the brand that you will promote will be known by the participants of the race. In addition, not infrequently someone tries a product a drink or food that sponsors an event. Why? Because only food or drink products that are sold during the event. In addition to sponsoring an event, there are other ways to market your product effectively. What prevents a person from buying a product usually is because they have never tried the product before or because no one has tried it yet. So, if your brand is wanting to introduce a new product or variant of your product, then one of the best promotional strategies to do is to deliver the product directly to the target market. The distribution of this product can be provided free of charge in the form of sample or tester. If your product is digital and the above strategy is not possible, there are other ways like a free subscription or free trial. Marketing a product to the right target market is paramount in how to market your product. Therefore, collecting customer data is a highly recommended activity. At the time of the product or sales introduction process, make sure you get customer data according to your needs so that it will be useful for promotional strategies and company plans next. Much can be done to capture your customer data accurately, for example by surveying data processing online through social media. The data can be used effectively in shaping how to market your product-from the aspect of language, marketing techniques, and the type of product you offer. Word of mouth is one type of marketing that is very effective. 91% of buyers are more likely to believe in buying the products their friends recommend. To support the marketing of products by word of mouth, give incentives to your loyal customers who provide recommendations to other potential customers to use products from your brand marketed. Incentives can be given in different forms, such as discount coupons, some money, or your own products. In this way, your loyal customers will continue to use and increasingly excited to recommend your products. It is certainly one of the best promotional strategies! In addition to marketing the product to the right target market, good product placement is also very important. You can simply move your product to be placed between two other types of products that are complementary to the type of product you sell. For example, if you sell a battery tool, it will invite buyers when placed next to an electronic product. By utilizing the location of products in the store, of course, this becomes a product marketing strategy that is telling. Who does not like products that are synonymous with intelligent or environmentally friendly characteristics? One that triggers customers to buy your product is if they think they have made an appropriate purchase decision.One of the promotional strategies that take advantage of this psychology is to show your brand care to the issues around the community that are commonly demonstrated through CSR (Corporate Social Responsibility) activities. Examples include using environmentally friendly content or by raising funds to be donated to a community or organization. Yet eco-labeling should be contained in the product You, do not lie to customers for the sake of marketing your product course. With this activity, your brand will get a good label and liked by the community. The above has been discussed that one way to market an effective product is to distribute free samples. 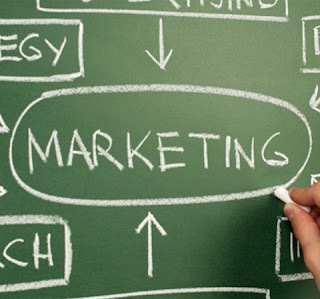 In addition to running a marketing strategy in this way, you may also share promotional items such as T-shirts, calendars and other merchandise that include your brand logo.Sehingga when promotional items are used by someone, then the goods have reminded people around to use the product of the brand. As a thank, you for your customer loyalty, Organize a special event only for loyal customers of the product you are promoting. Set up an interesting event, lots of presents and no booth to sell and without having to force participants to buy anything at the event. such as this can be in the form of workshops, gala dinners, or invite your loyal customers to your product launch or birthday event. With the promotional strategies through these events, the loyalty of the event participants will increase and so will your customers' delight with your brand. From the 9 ways to market the products described above, you can do various combinations to make your product marketing attractive and invite the audience. For example, you can share merchandise with customers who have filled your survey. Easy and also interesting to try, right? However, before the way to market the product you want to run starts, make sure things like the company logo, label design and also the brochures/posters to be used have been well designed.